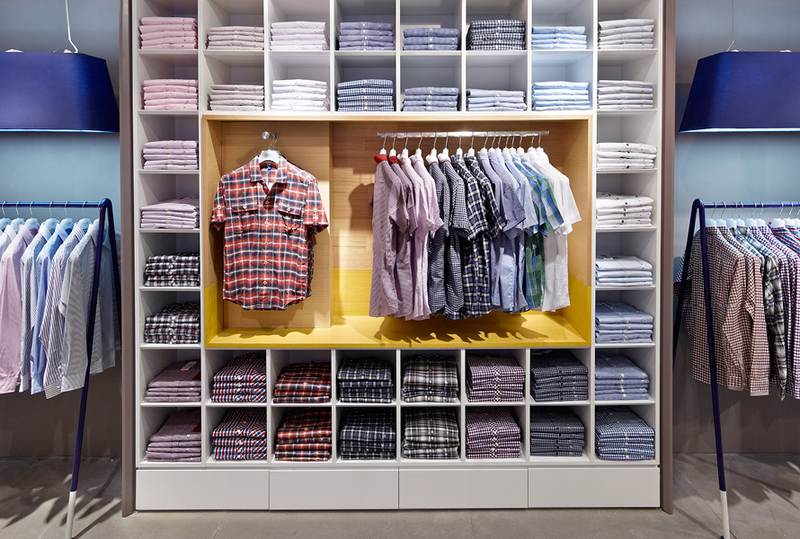 Shirts are the main focus of the shop, the display platform and focus cabinets communicate the shirts-only positioning, The varied visual merchandising options communicate the wide range available. ShirtStops unique design theme positions the brand as an attractive price-quality proposition. The combination of clean lighting, colorful detail, graphics, the playful merchandising and the easy-going home-style furniture and details create a memorable design concept. The store design is a low threshold – customer friendly, allowing customers to satisfy their curiosity for our brand and enter the store. 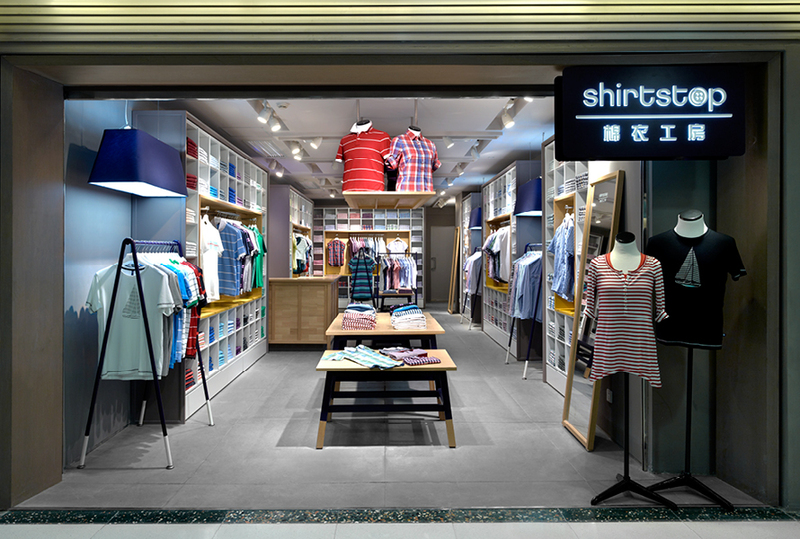 At the same time, the store design enhances the quality and style perception of the product through the customers’ eyes. 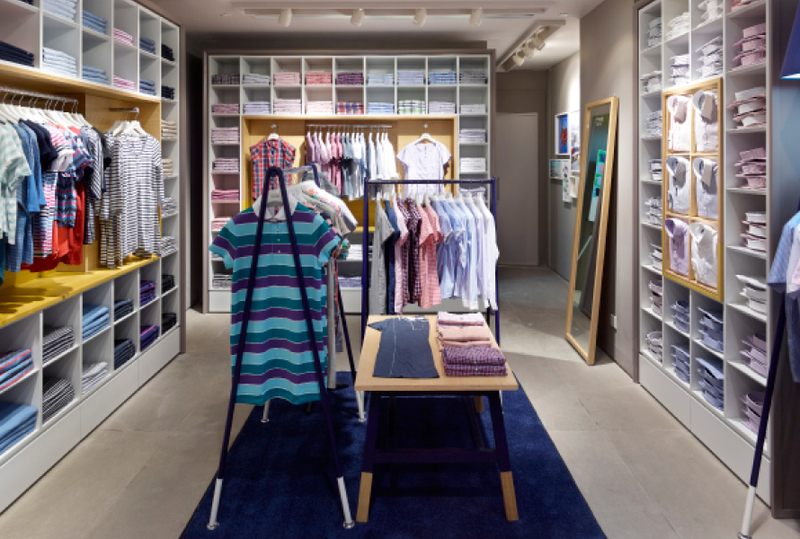 The wall system shows shoppers the wide range in styles, color, and size in a way that is organised, flexible and interesting to look at without getting repetitive. The product, combined with a clean/quality presentation and a clear price point, represent a good value proposition.